The Leander A. Plummer House in New Bedford, currently undergoing restoration by the Waterfront Historic Area League, or WHALE. 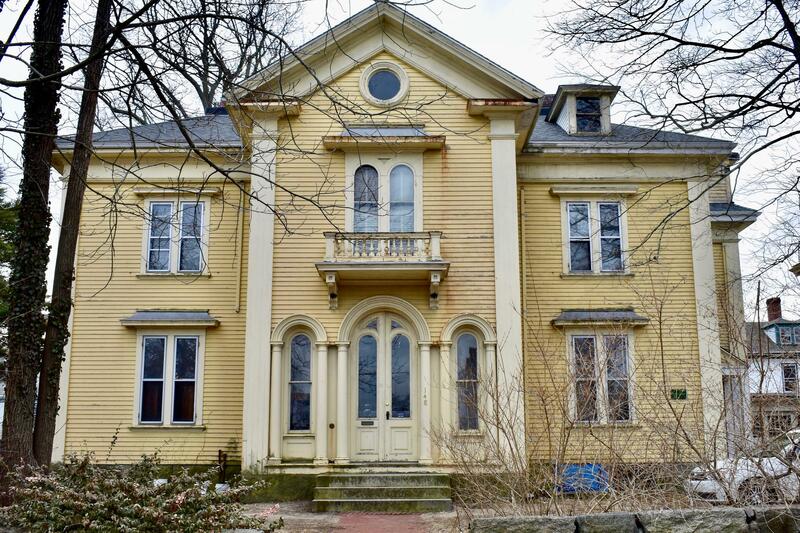 The Plummer House in New Bedford is one of the latest restoration projects to be undertaken by the Waterfront Historic Area League, or WHALE, an organization focused on preserving New Bedford’s architectural heritage. The house was built in the late 1850s for New Bedford native Leander A. Plummer. He helped found the New Bedford Cordage Company, which supplied various types of rope for whaling ships, textile mills and other industries. Plummer called his house 'Morelands,' reflecting an area that was considerably more rural during his time than it is today. 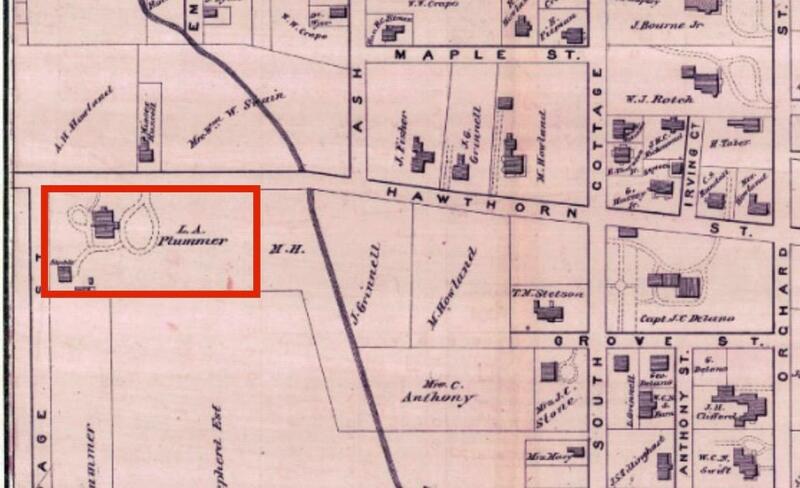 This 1871 atlas shows the Plummer House originally facing east. It was later turned to face Hawthorn Street to the north. 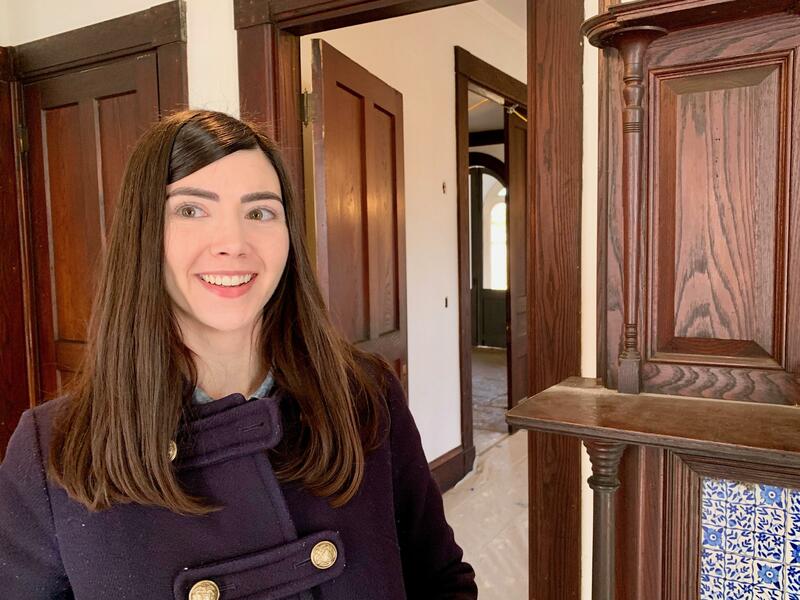 WHALE has been working on the Plummer House restoration for about eight months. It’s an early example of the Italianate style of architecture, with a number of Greek revival touches. Plastic covers some of the walls and woodwork as various contractors apply new paint and plaster, and replace electrical, plumbing and other components. WHALE Project Manager Rachel Alison. Before WHALE came on board to do the restoration, the house sat vacant for about 12 years. “There were huge holes in the roof – water was pouring into it. It was actually broken into many times,” said Bernert. It eventually became a 'receiver property' under a program through the state Attorney General’s office. They identify vacant or dilapidated properties, then give the lien-holders a certain amount of time to correct any code violations. The Plummer House was built primarily in the Italianate style of architecture. “And if they don’t correct them, there’s a process where the city and the Attorney General’s office can appoint a receiver who’s usually a non-profit who specializes in restoration and real estate. We were chosen as a receiver to clean it out and then restore it,” said Bernert. 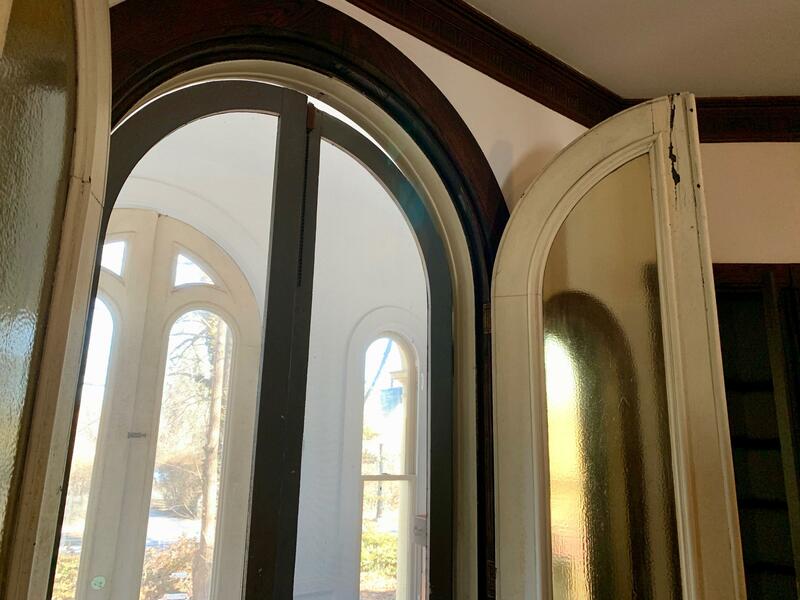 Although the Plummer House had fallen into disrepair, many of its most unique features survive. There are some well-preserved examples of imported Dutch tilework, called Delftware, surrounding several of the home’s fireplaces. 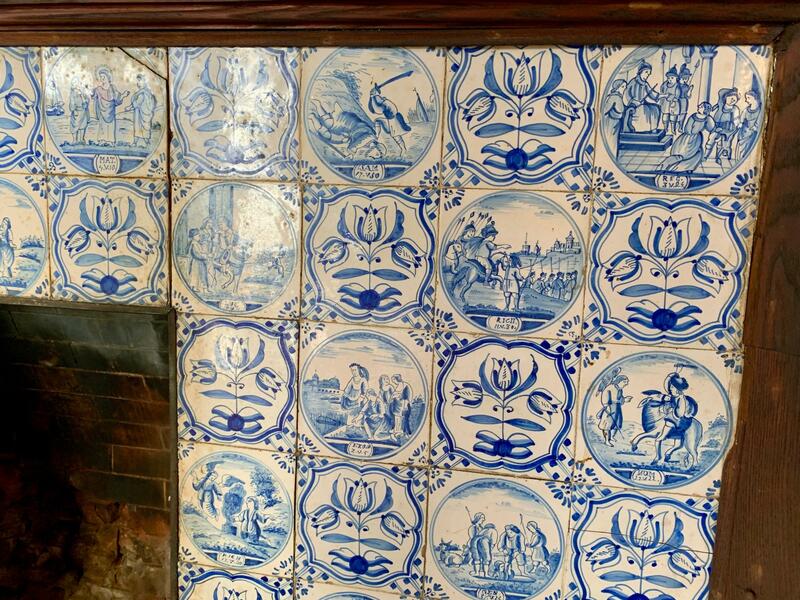 Imported Dutch tiles, known as "Delftware," surround several of the Plummer House's fireplaces. A wooden panel above one of the fireplaces features a seaside scene painted by Plummer’s son, Leander A. Plummer the 2nd, a well-known artist in New Bedford during his time. 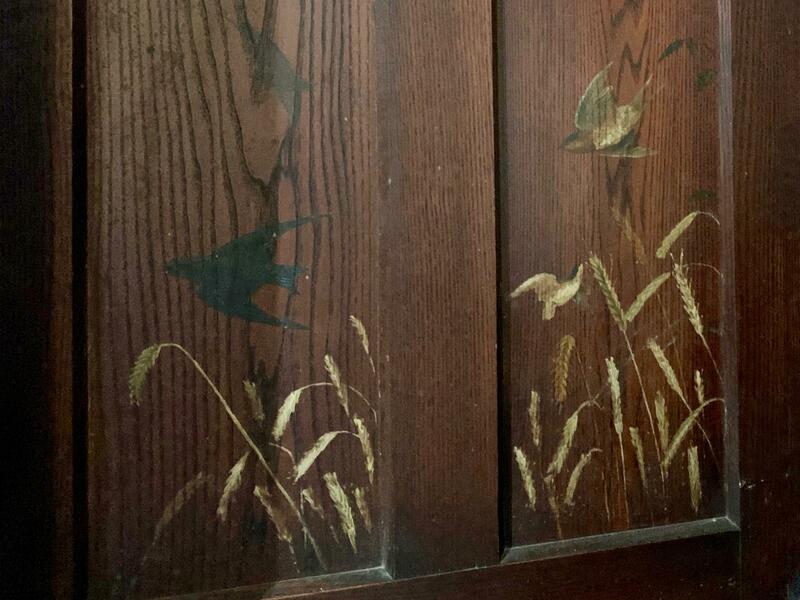 A nearby door features a scene with painted birds and marsh grass etched into the dark wood. This scene on one of the home's doors features marsh grass etched into the dark wood by Leander A. Plummer's son. The third floor has a room that’s thought to have been Leander Plummer the 2nd’s art studio, although that can’t be verified. In a nearby bathroom is a surviving example of a very early toilet. “It was probably added sometime in the 1880s. And the earliest examples were built of wood and designed to look like furniture like you see here. And this didn’t last very long, because they quickly learned that wood is kind of hard to keep clean and sanitary, and so they quickly changed over to things like porcelain or metals,” said Alison. The Waterfront Historic Area League hopes to have the Plummer House restoration completed by summer. It will be sold as a private residence, with most of the proceeds used to cover the cost of restoration. The Mayflower II is currently undergoing a full-scale restoration at the DuPont Shipyard in Mystic, Connecticut. It’s a replica of the merchant ship that brought the Pilgrims first to Provincetown and then to Plymouth in 1620 - a now-historic event that was completely unremarkable at the time. “This is just cargo. The only good thing about this cargo is it was self-loading cargo,” said Whit Perry, Director of Maritime Preservation at Plimoth Plantation. The Nantucket Historical Association recently added an unusual item to its map collection: an embossed outline map of Nantucket, tucked in the back of the 1841 Annual Report of the Perkins Institution and Massachusetts Asylum for the Blind, now known as the Perkins School for the Blind. Just north of Route 6-A in West Barnstable, a narrow path runs through a nature preserve to the edge of what looks like a pond. It’s actually the flooded clay pit from the West Barnstable Brick Company, the ruins of which lie just out of view on the opposite side. Just off route 6A in Yarmouth Port sits a former Universalist Meeting House called Strawberry Hill, built in 1836. It was converted into a private residence, and is now on the market. What makes the property so unique is the legacy of its most recent owners, world-renowned set designers Herbert Senn and Helen Pond.